(by Eileen Dombrowski, from OUP blog) Claiming he was a surgeon, Ferdinand Waldo Demara tricked the Canadian navy into giving him a ship full of people as his patients. With no qualifications whatsoever – without so much as high school graduation – he even performed operations on his trusting patients. How could anyone be so dishonest and callous as to deceive others so flagrantly? And why would so many people fall for his impersonation? The “con artist” – the swindler who plays a “confidence game” or gains the confidence of others for his own ends – seems to awaken our emotional outrage, but also our fascination. Such reactions make stories of large scale deception enormously attractive for stimulating and focusing discussion in a Theory of Knowledge classroom. I’m prompted to propose this topic for TOK by a new book on the “confidence game” and the numerous interviews and articles that the book’s publication has set off – easily accessible material for class on a topic that, in my opinion, is likely to captivate student interest. The book is The Confidence Game: Why We Fall For It…Every Time by Maria Konnikova. For an article by the author and several interviews on her central ideas (all available online), see my Resources list at the end of this post. Does it matter to tell the truth? What does storytelling do to knowledge? Is critical thinking utterly futile? Today, I’ll offer a few ideas on dealing in class with the first of these topics. In a classroom, we benefit from harnessing the power of stories ourselves to catch student interest. I suggest opening by preparing stories of “cons” to share with students, to engage them and get them thinking, and to provide the group with shared points of reference for discussion ahead. Myself, I’d choose three examples with different characteristics – different apparent motivations, different kinds of false identities, different kinds of audiences, and different consequences. I like the following, though you may want to select others from a sadly wide range of possibilities. Ferdinand Waldo Demara (1921 – 1982) : His impersonations were the basis of the movie The Great Imposter. He persuaded people to believe that he was many different identities, including a monk, a prison warden, and a doctor. He is the surgeon to whom I referred in my opening. Maria Konnikova picks him as the example that most piques her interest in an interview in The Atlantic. His story is readily available online. Myself, I’d emphasize his impersonation of a doctor because the horrifying implications of believing his con are very evident. Samantha Lyndell Azzopardi (1988 – ) In 2013, a young Australian woman led international police forces to believe, for a time, that she was a vulnerable teenaged victim of human trafficking. When her “con” was discovered, she was found to be 25 years old, with more that 40 false identities in her past. Maria Konnikova gives Azzopardi’s story in an article in The New Yorker. Bernie Madoff (1938 – ) This swindler did not take on a false name, but masqueraded convincingly as a trustworthy financial investor – so convincingly that he cheated clients out of $65 billion. He was exposed in 2008 and in 2009 was sentenced to 150 years in prison. His story, readily available online, involves explaining a “Ponzi scheme” – Madoff’s being the largest Ponzi scheme in history. For a compact explanation, see an article from the Business Insider. The stories are worth preparing well for class – that is, planning your own narration, or handouts, or video clips – because they can act as vivid reference points for numerous knowledge questions they serve to raise and illustrate. It’s one of the sad truths of good classes, I find, that it takes more preparation time to deal with topics in less class time – to introduce ideas briefly. But the preparation time’s a good investment in this case. In a course based on building knowledge as reliably as we can, the topic of lying is more than simply a Hot Issue in ethics. If learning to distinguish more effectively between what’s true and what’s false (with all the complexities!) is an aim of Theory of Knowledge, then a lively examination of outrageous lies gives us a chance to validate what our course is all about! It also, clearly, leads directly into ethical discussion. Does it matter if what we believe is true? Why or why not? Is it morally wrong to lie? How do we know? While it’s entirely possible to have a good discussion on these questions in class when we ask them in the abstract, I do think that a discussion fueled by stories is likely to yield a wider range of ideas and a lot more energy and engagement. 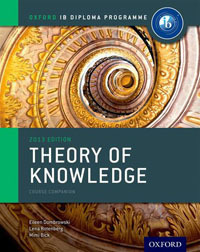 Note that a major resource for TOK teachers and students for dealing with such stories and debriefing them is my Theory of Knowledge IB course book, Chapter 3 (Seeking truth) touches on the question “Does it matter if you believe it?” and Chapter 16 (Ethics) guides the debriefing of ethical case studies. Likely to come up in class responses are ideas that can be debriefed into four major broad perspectives. These cluster ethical theories according to what criteria they use to measure right and wrong: the intentions and character of the person who is lying, the lie itself judged by principles or rules, the consequences of the lies. ; and the social context within which truth or falsehood functions. Did students bring up the motives of the con artists? The example of con artists raises, more than many other examples do, the ancient ethics of virtue, based on stressing not particular actions but, more holistically, a person’s character. Did students bring up the absolute right or wrong of lying, judged by ethical principles of honesty? These examples of clever deceit do often cry out for firm condemnation – but on what grounds? Religious teaching — and if so, grounded on what? Social expectations — and if so, known how? Philosophical arguments for ethical principles put forth in deontology — and if so, based on what? What are the roles of intuition and reason as ways of knowing? Did students bring up the consequences of the lying on others? Did some of the cons seem harmless — and if so, did they appear morally excusable? Which of the cons disturbed students the most – and why? Did they use arguments that you can debrief in terms of utilitarianism — greatest benefit, or harm, for the greatest number of people? What are the roles of sense perception (observation), imagination, emotion, and reason as ways of knowing in predicting possible consequences and then evaluating them for their potential harm or benefit? Did students bring up the moral code of the surrounding society? This example of deliberate cons is more useful in class than many other ethical examples we could use, in that it effectively stirs ethical issues that centre on the social context, such as those of loyalty to others (and the violation of betrayal!) and caring for others within a social network. What are the roles of emotion, intuition, imagination, and reason as ways of knowing? Do theories in ethics – that is, broad and internally coherent perspectives on judging morality – contradict each other, or do they complement each other? In what regards do they tug in different directions for their arguments and conclusions, and to what extent to do they provide different routes toward similar conclusions? The purpose of opening up ethical questions as the first discussion of a series on con artists is to establish right from the beginning that thinking about swindlers and their deceptions is worthwhile – not because they are worthy in themselves but because they challenge us to reflect on our basic assumptions regarding the value of truth for us as individuals and for our social cohesion. We are also affirming – or re-affirming, or re-re-re-re-affirming – the importance of looking critically at what we accept, and why, for the knowledge we build. It might be well, for reasons that lie not within course objectives but kind teaching practice, to close a discussion on a deceptive world by returning students to affirming a sense of trust! Next week I’ll pick up another thread of knowledge questions raised by the stories of con artists – the power of narrative and the role of storytelling in knowledge. This entry was posted in IB Theory of Knowledge and tagged critical thinking, emotion, ethics, implications, intuition, knowledge questions, perspectives, reason, sense perception. Bookmark the permalink.